The fantasy world in one's mind closed from the reality; it is free and safe but vain, boring and has no reality. Of course it is! What exist there are only imaginations. 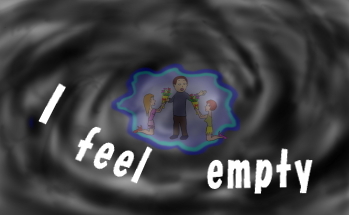 he ends up feeling empty.